Naomi Osaka has broken barriers in the world of women’s tennis. With critics naming her the next Serena Williams, that just might be the case. Over this past weekend Osaka defeated 23-grand slam champion Serena Williams, at Arthur Ashe Stadium. Osaka’s performance during the match was superb, with serves reaching 100 mph. Naomi’s performance was something to remember but Serena’s behavior was too. Controversy in the match began in the when umpire Carlos Ramos gave a penalty to Serena Williams for her tone and voice during the match. The controversy continued after the match when the crowd began to boo after Osaka was announced the winner of this year’s Grand Slam, resulting in some tears from Osaka. “I felt a little bit sad because I wasn’t really sure if they were booing at me or because it wasn’t the outcome they wanted,” Osaka tells the Today’s Show. “At one point I felt bad because I’m crying, she’s crying and she’d just won. I’m not sure if they were happy tears or sad tears because of the moment. I thought, wow this isn’t how I felt during my grand slam, so maybe it was the mom in me that said we have to pull ourselves together,” Serena commented at the US Open Press Conference after the match. Naomi Osaka is the first Japanese-Haitian woman to win a Grand Slam. Osaka and her parents moved to New York city when she was three years old. She was introduced to tennis at a young age, and was trained by her father and her older sister whom is also a professional tennis player. Osaka has played in the 2011 US Open championship, 2016 Australian Open, French Open, and the Today Pan-Pacific Open. 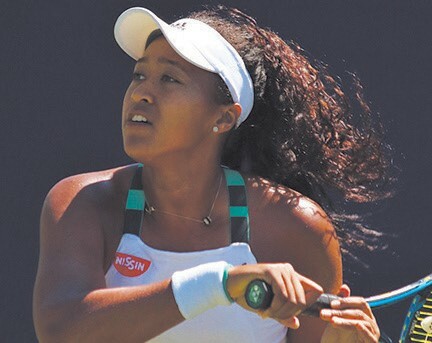 In 2018, she was the also the first Japanese Haitian woman to win the Indian Wells Masters in California which is the second biggest event in Tennis, right behind the Grand Slam. Via twitter Naomi commented that she was grateful to play on the stage at the Grand slam and she thanked her fans.